You can use BLT for LabVIEW to track errors and log custom messages on the Licensing Server. These messages are directly linked to the Sessions reported when your products are used. Use the home tree to explore the Errors and Messages. You cannot delete them or edit them. 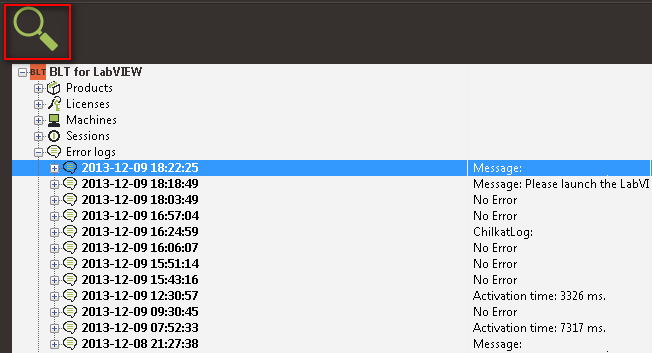 Remove a session to delete the attached messages. Select one or more entries in the tree and click on the Details button. 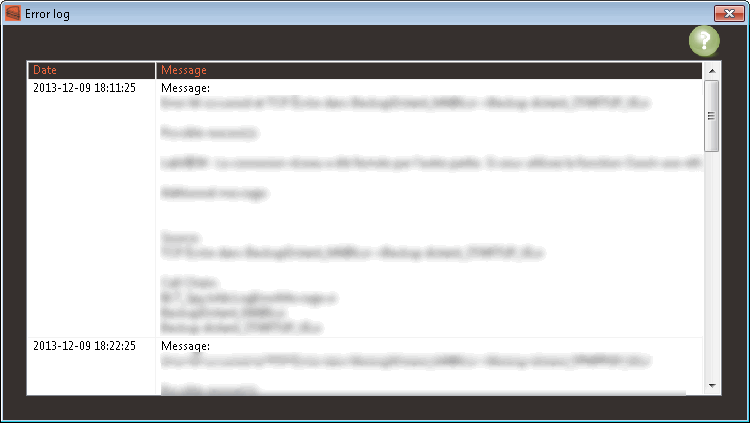 Double-click on a message to see the full text.